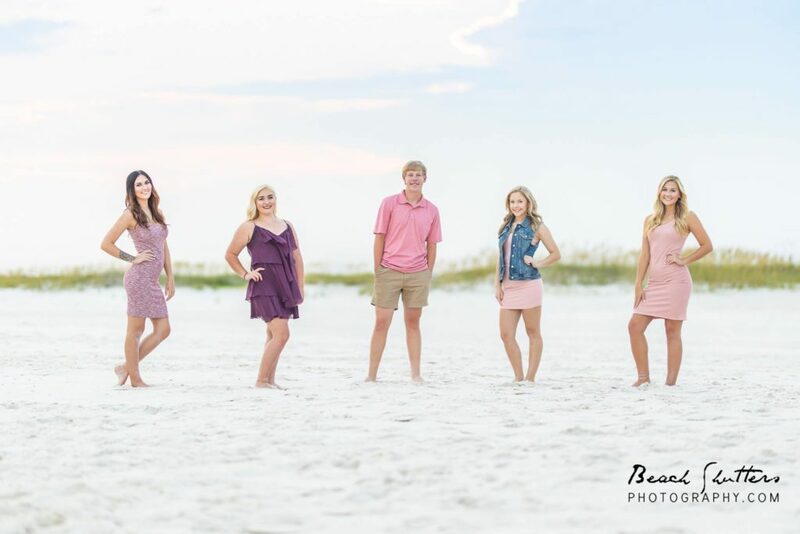 Beach Shutters Photography wants to be your Gulf Shores Photographer! 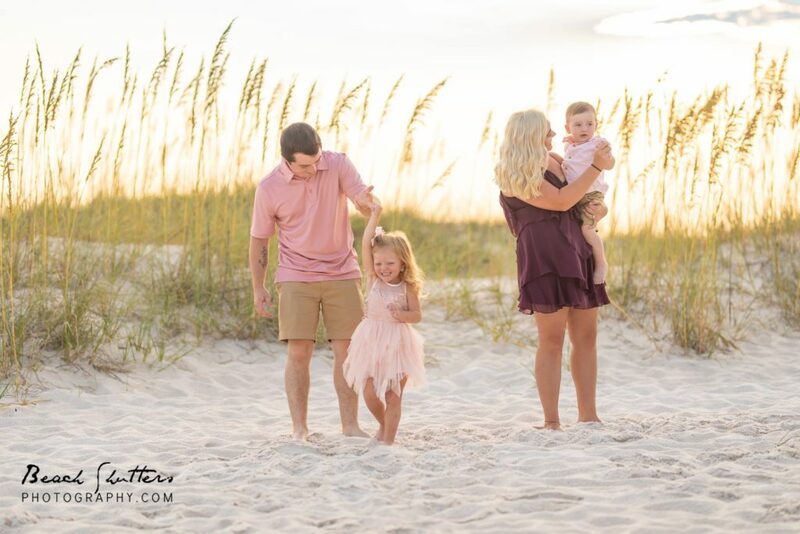 Meet the Myers family. They recently took an extended family vacation to our beautiful beach here in Alabama. Karie confesses that she is a planner. 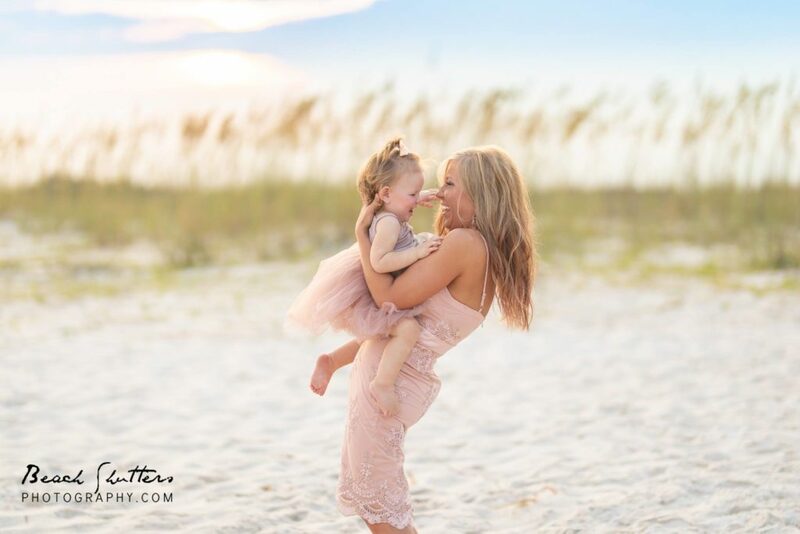 She arranged the perfect vacation for everyone at a secluded beach house here in town. The most important part of her vacation was to update the family photos. 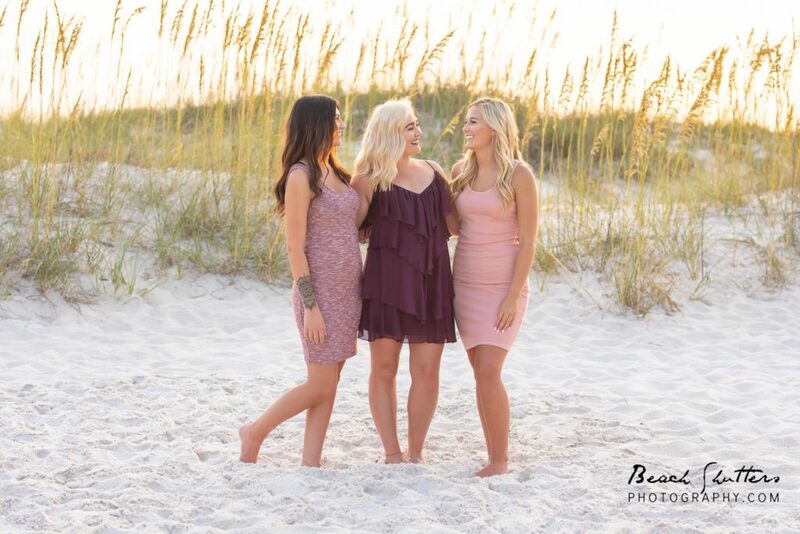 She says it is rare for everyone to get together, and she knew it would be the perfect setting for pictures. She decided on a color theme (mauve, burgundy & pink) and asked for everyone’s size. Mauve is the new color this year! In case you are wondering what to wear, this is it! Karie did a great job shopping for everyone and after getting the perfectly coordinated wardrobe together, she started researching beach portraits. She decided to use Beach Shutters Photography as her Gulf Shores Photographer, and I am so glad she did! It was a pleasure to meet this lovely family and update their photos. There are several little ones in the Myer’s family, so we made it a point to keep it casual. Our goal was to capture the family having fun and interacting with each other in a candid setting. We were able to do just that! No one took it too seriously, we just went with it. Her plan was to get a few group shots of the whole gang, each family individually, and a photo of the five children. After that, it was on! Just playful photos of their kids and grandkids. Karie said after photos she could relax and enjoy her vacation! Mission accomplished. This year everyone is getting family photos for Christmas! I think this was a wonderful idea and will make the most personal gift. 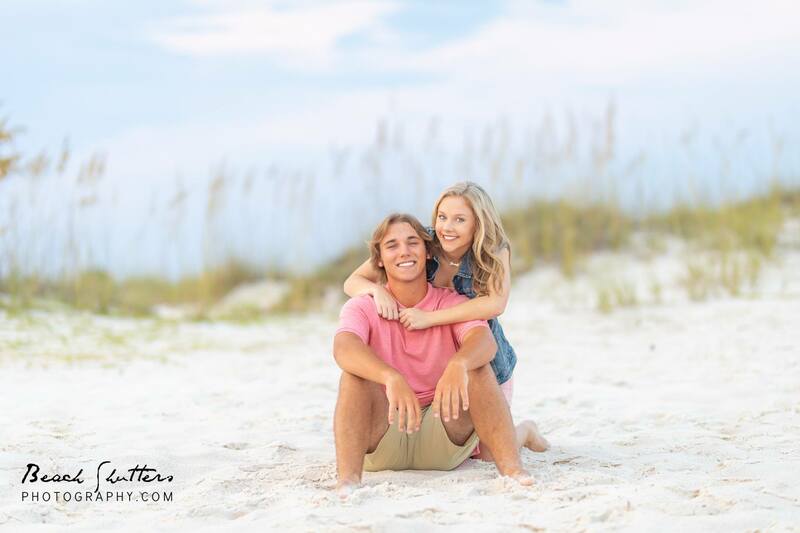 I was happy to be a part of your vacation and so glad to be your Gulf Shores Photographer! 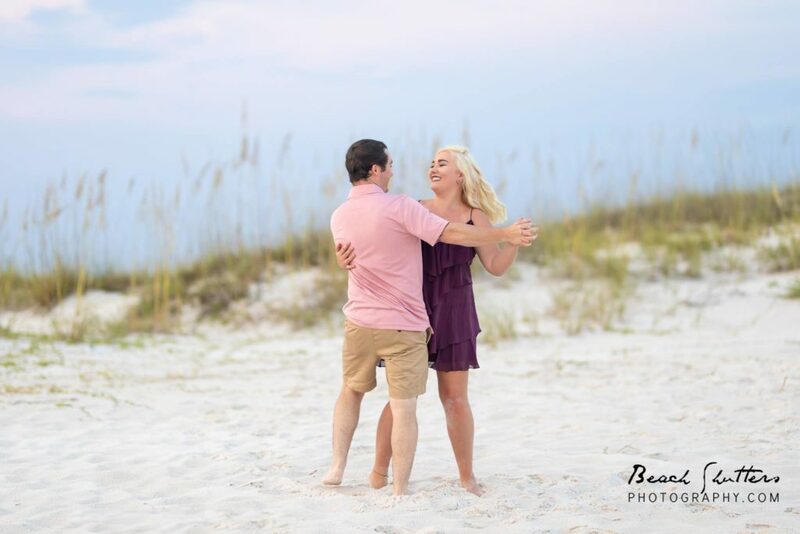 Let’s dance on the Beach! You are my favorite sister! 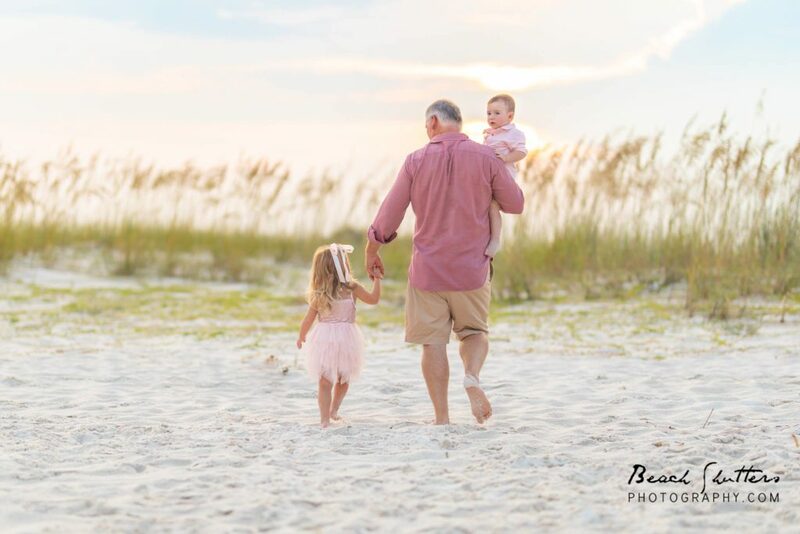 Other keywords that may have led you to our website: Photographer Gulf Shores, Photographer Orange Beach, Family photographer, Beach portraits, Perdido Key photographer, Fort Morgan photographer, wedding photography Orange Beach, real estate photography Gulf Shores, Orange Beach photography, Lifestyle photographer, Candid photos, and Vacation portraits. Thank you for visiting our website, we hope to see you at the beach!